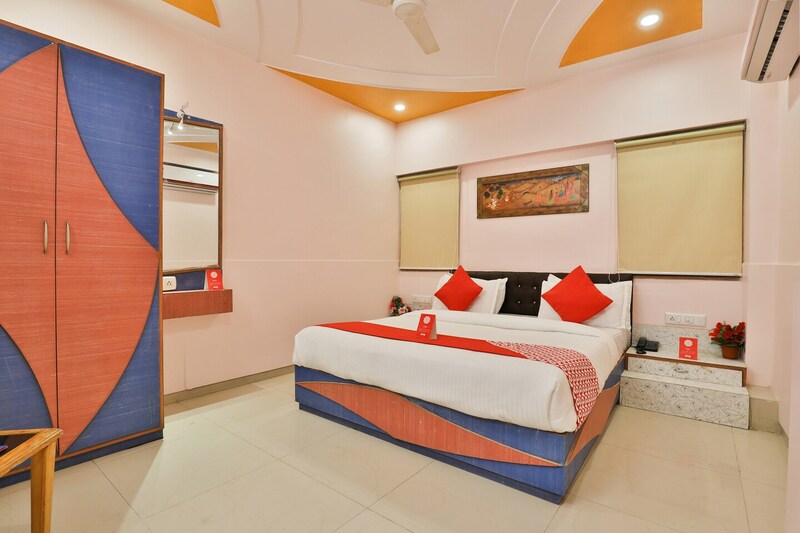 Jaunt Safari in Ahmedabad is a perfect accommodation for business or leisure trip. The rooms are elegantly designed. Guests can avail laundry services on request. Natural light streaming in from the windows add a glow to the overall decor of the room. Rooms are also well-furnished with plush wooden furniture for the relaxing stay of the guests. Stay connected with social media or catch up with work as free Wi-Fi is also offered here. Guests can park their vehicles safely in the secured parking area. CCTV cameras ensure security of your stay and elevator has also been installed for the convenience of the guests in the hotel. Guests can enjoy delicious meals at the restaurants located nearby.